- Dashboard and dashlet exporting. 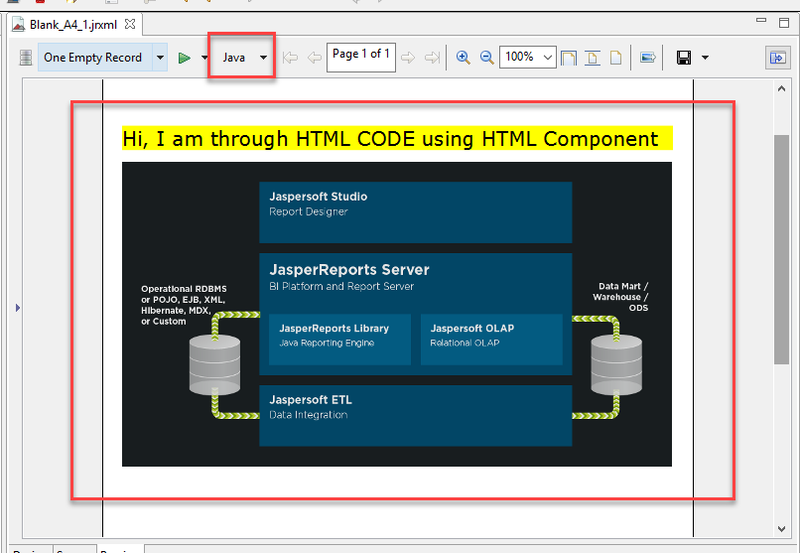 - Text and image dashlets now support hyperlinks. - More formatting options for dashboards and dashlets. - New time and date wildcards for dashlets. - Auto-complete for parameters and time and date wildcards. - Image dashlets have a Browse button for the respository. - Support for scheduling Dashboard exports. 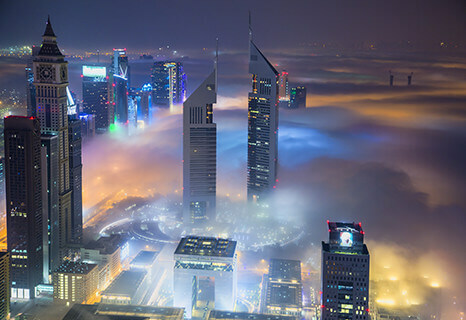 - New support for Microsoft SQL Azure. - New driver for Spark. - New Progress driver for Cassandra. - New JDBC driver for MongoDB. - New Progress driver for Impala. - Updated JDBC driver for MariaDB. 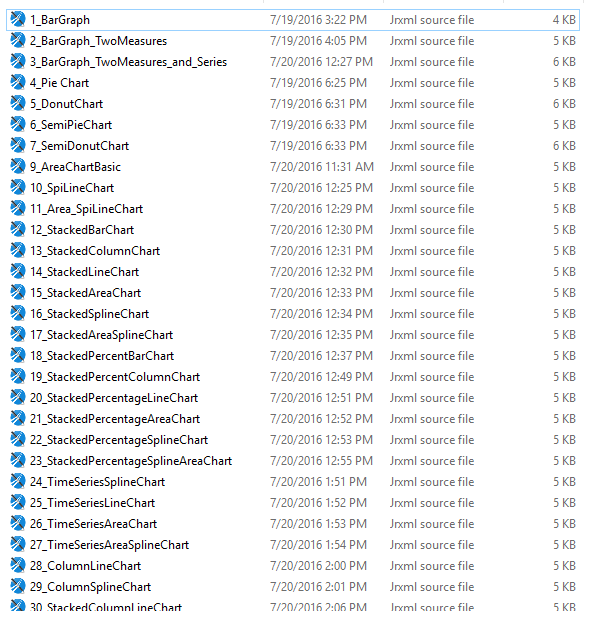 between different instances of Jaspersoft Studio. 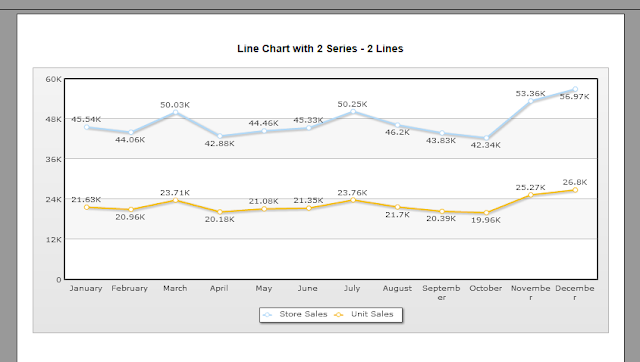 - Improved interface for editing properties in HTML5 charts. Hoc views or reports based on Ad Hoc views. In this post you will see how to write conditional expression to compare two fields and based on return value display images. Lets assume you have number1 and number2 fields of BigDecimal types. Write below expression in image path expression editor itself. 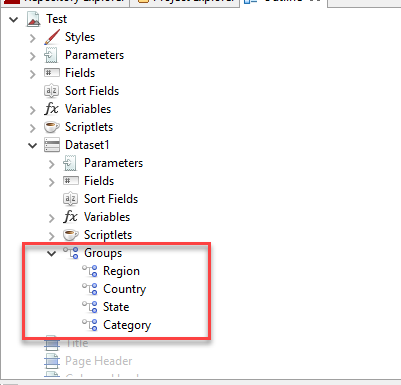 1) Do not give empty quotes for the false section(true section) any where in the expression. If you give, you may stop with HTML 500 error message. 2) Make sure the image paths are given with "repo:<serverpath of the image>" when report is published. 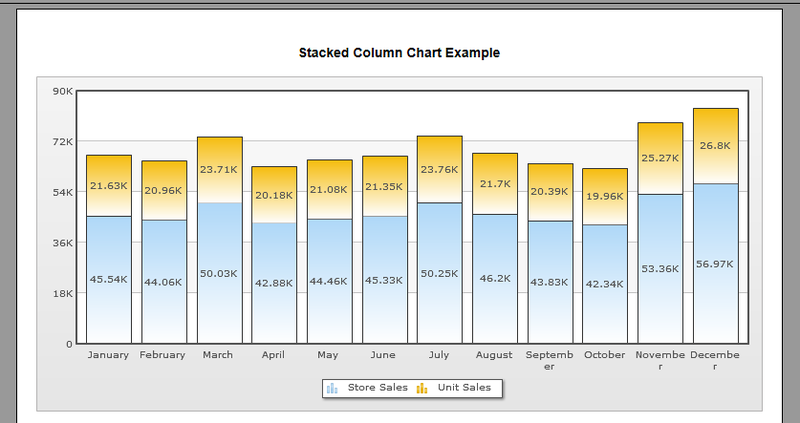 3) This example is developed using 6.2 Pro studio and oracle queries are used for demonstration. 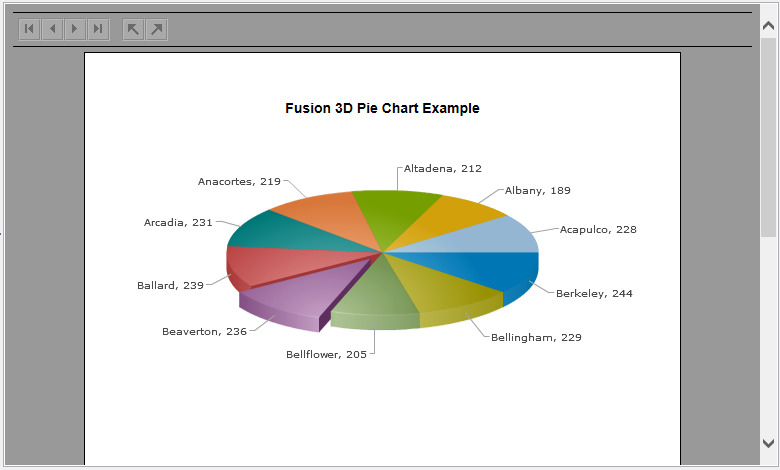 Below are the full stack examples of all fusion graphs as of 6.2 Professional Studio. 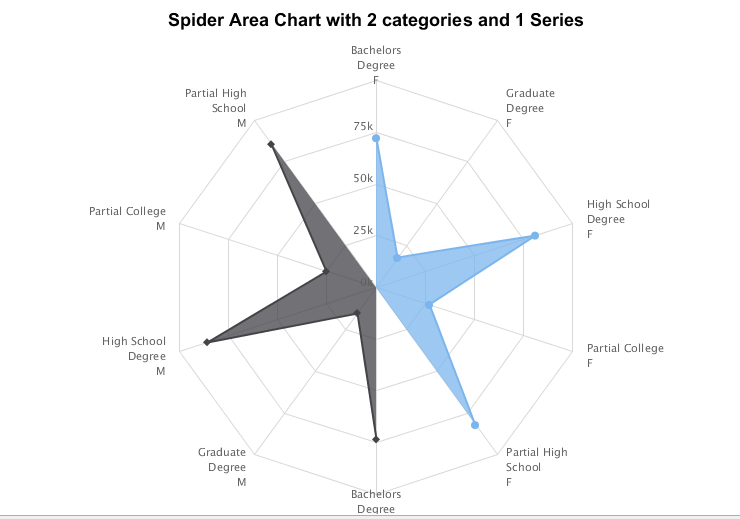 Hit the download link in the bottom and explore how to configure categories , series and values. note that only basic configurations are done. 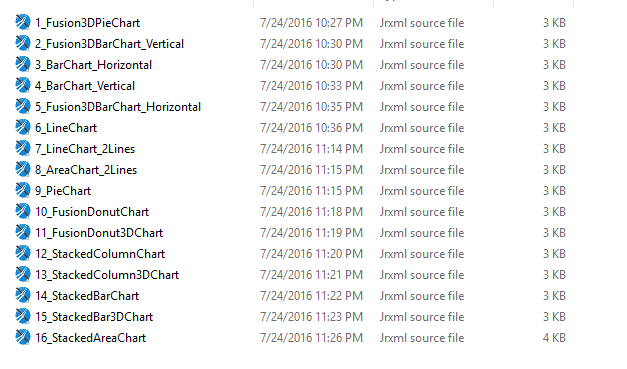 Below are the full stack examples of HTML-5 graphs as of 6.2 Professional Studio. note that only basic configurations are done for examples. In this post you can learn, how to call an image inside HTML component using HTML script and how to apply style to it. Drag and drop html component to be of your choice of band, for instance drag HTML component to summary band and double click on it to open its "Expression Editor" and write below HTML code along with styles. "<img src='file:///C:/Users/sadakar/Desktop/tibco.png' alt='Japser Architecture' height='1000' width='1800'>"
NOTE: This example is specific for absolute path image with in the studio and operating system environment. It can not be deployed to Japser Server unless you have HTML component jar file installed in lib folder of tomcat. Usually we go for this kind of implementation to represent web clocks showing different time zones on the report. I hope it helps some one in community. 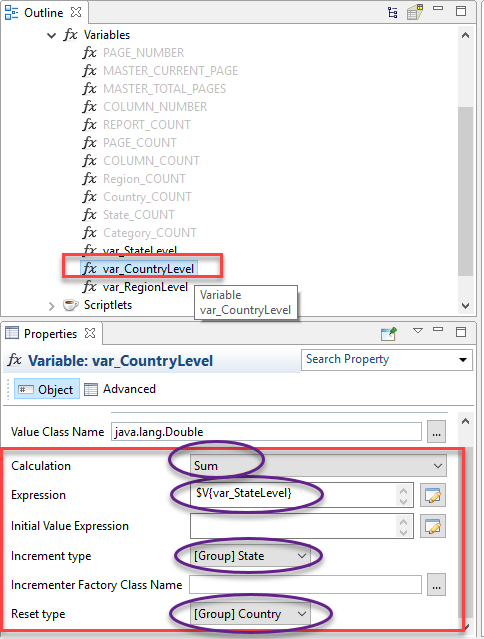 In this post you will see how to play with variables for group level summations with increment type for repeating "sales" value at detail level. 3rd group level get only distinct values of "sales" from detail. 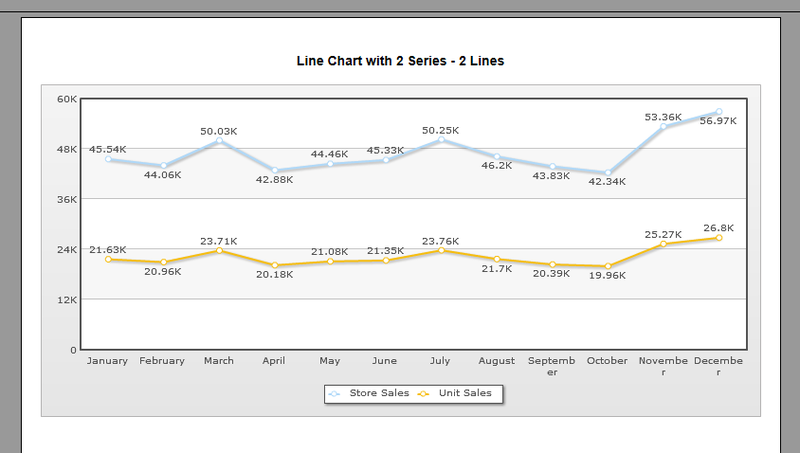 in the detail level, display "customer name" and "sales" data. For the sample data click on this postgresql backup file and restore it using pgAdmin-3 client tool on foodmart database. The sample output will look like as shown in below image. 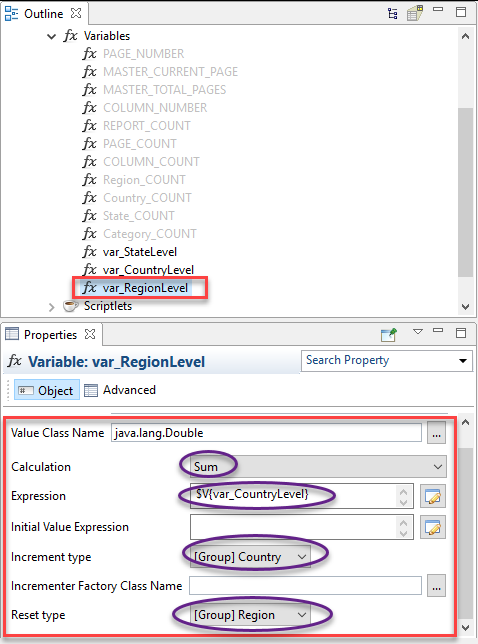 3) The core part is to play with variables, its increment type and reset type. If you have a look at the sample output in first image, the details for "sales" field are repeating and display nothing at 4th group level(i.e., category group level). We need roll up aggregations starting from 3rd group and solution is as follows. 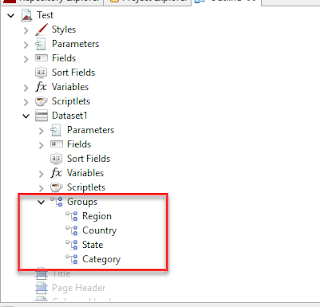 Once the variable is created drag and drop it to the place holder as shown in design image and give "Evaluation Time=State"
Once the variable is created drag and drop it to the place holder as shown in design image and give "Evaluation Time=Country"
Once the variable is created drag and drop it to the place holder as shown in design image and give "Evaluation Time=Region"
4) Save the report and run. It will produce the output as shown in very first image. In this post you will see how to write a custom expression for pattern. 3) When you double click the cell, the decimal point may go off but its not the expected behavior. 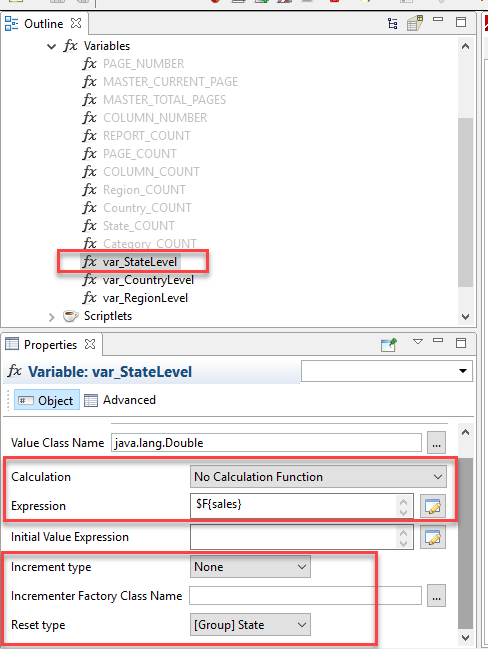 To over come above all issues with usual pattern we can use pattern expression as shown in below image for the decimal text field. Expression : (Write below expression in "Pattern Expression" section. My special thanks to Abhi for exploring this topic. I hope it helps someone in the community.